Do you work for Telegram? Learning about Telegram? We can help. lo mejor de Telegram es que es una aplicación ligera a la vez que completamente funcional. Tiene un montón de opciones para el usuario, como bots de todo tipo, encuestas, mensajes anclados, etc. Telegram ha sido pionero en todas estas funcionalidad, como también en la de stickers creados por la comunidad, o los fondos de pantalla. Hay pocas cosas que no me gusten de telegram, pero si tuviera que elegir una, es la imposibilidad de hacer una foto y enviarla con un mismo botón, funcionalidad que ya existe en, por ejemplo, whatsapp. Además, sus servidores se caen en un promedio de una vez al año, lo que es algo molesto cuando ocurre. Planificación de tareas y comunicación con el equipo, principalmente. Usamos bastante las encuestas internas para decidir entre nosotros, así como el compartir archivos via telegram, asegurandonos que los demás los vean (si los subes a Dropbox en ocasiones la gente tarda más en verlos). "I recommend Telegram for Large files sharing"
- telegram is very secure, you can have private chats without the concern of security. - you can create groups and send invite links to any person..
- its easy to customize the settings. - you can add more people to chat groups. - the user is allowed to send files of any type. - telegrams works in every area, I get to chat with m friends even in remote areas where there`s no much network connection. - the user media and chats are stored online and hence can be retrieved at anytime. - video and audio conferencing would really be a great feature if build on it. telegram is a great app for businesses and personal use as a communication tool, its cheap, easy to use, allows you to send large files, its secure and stores media on cloud and can be accessed from multiple devices. Telegram helps me send files to friends and co-workers with ease, I have private chats without concern of security bridge, I get to send invite links to whoever I want and can also remove a member from the group, its cheap easy to use and understand, customize settings. "telegram not only a chatterbox!" i like this because its has a various options which includes the downloading of pdf , files,video, news , movies etc. the app is very much fantastic and helpful. 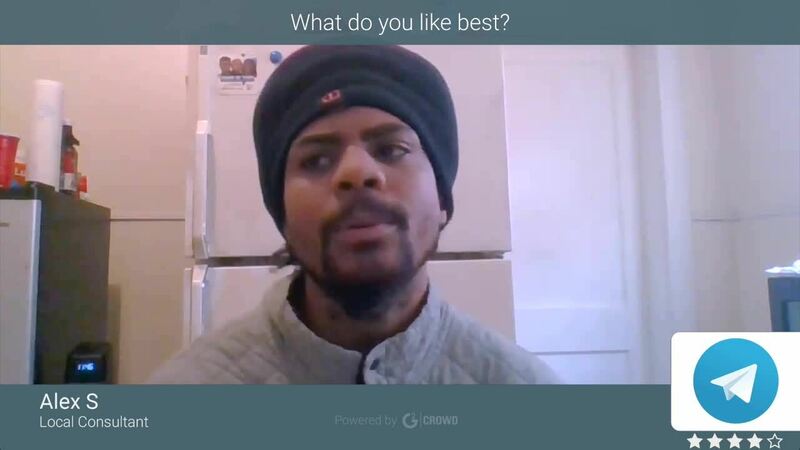 we can create and follow the users which already on the app and discuss anything we want. we can simply follow up with the different users and share contents very easily. by sharing the valuable content makes the things better. telegram is very infamous among the youngster. its simply follow up the users and share the various things. its similar to other apps like youtube having different channels and subscribers we can do the follows them or unsubscribe anytime. the telegram is updating and growing very rapidly. users should follow this and should updated with the latest content whatever it is. they should follow up the things and share among their network. people are adding on the telegram very rapidly hence it makes the quality of the ste and app very good and reliable. its a god thing that we have a shared platform where we can share the new things and make the things better. the app is very good with quite fantastic features. its not only the texting thing but also contents and news sharable thing. we can create large numbers of groups and channels so that we can share a lot of things. i have created some channes and follow the users and share new things with people. Fue la primera con los gifs guardados en tu cuenta, la segunda con stickers después de Line, pero con una organización mucho más sencilla de los mismos. Tiene una administración mucho más sencilla de utilizar y a la vez potente que sus competidores, fue la primera en el cifrado de todos los chats, en definitiva, la que más ha innovado y por ello la más potente. Además, es la que menos caídas tiene, lo que la convierte en la herramienta de comunciación más estable. Prácticamente no existe algo que me desagrade de Telegram, pero tuvo una herramienta para, individualmente, otorgar derechos de manera sencilla en un menú contextual con el propio usuario y ahora ya tienes que ir a las herramientas de administración, me ha parecido una involución en la aplicación. Yo siempre recomiendo Telegram frente a otras herramientas o programas similares, por la privacidad que ofrece al usar alias y no datos personales, evitando así un posible hackeo u obstrucción de tu rendimiento. Para la comunicación inter departamental es una herramienta muy potente que permite no solo una comunicación al instante y segura, sino que además ofrece compartir todo tipo de archivos junto a una visualización de gran cantidad de formatos, tan solo le faltaría un editor aunque fuera simple de los archivos más comunes, como documentos de texto u hojas de cálculo. De todos modos es sobradamente superior a las demás aplicaciones por lo que no puede pedírsele más. "I use telegram application to share large files and have private chat with my friends and Colleagues"
I use telegram on a daily basis be it work or personal communications, it has really changed my communication experience. 1. telegram is well designed and one doesn't need much technical experience to understand or use it. 2. the mobile application version is easy to download and install. 3. it is easy to understand the writings on its first page while setting up an account. 4. allows a user to easily find contacts and search for messages. 5. it's fast and reliable ( sends and receives messages instantly). 6. it is well build to send large files and maintain a file format. 7. the web version and mobile application are both recommended as they both are easy to use and meet requirements. 8. telegram is free to download. 9. files sharing is easy and most reliable. I recommend telegram to all users be it for professional or personal use, it is fast and most reliable, you are able to use it on your mobile phone as an application or even use the web on your PC or computer to access your account in the web version. instant replies to important messages and updates, With Telegram it is easy to send and receive instant replies to important messages and the conversations, are more secure. "With telegram I can have fun meeting new people ." they must control more spam since there are people who only enter a telegram to bother. But the application is excellent has many interesting things you can create groups and customize them can change the color of your chat and the best that has very cheap premiun plans almost at a gift price. If you are looking for an application that is better than whatsapp and if so many rules that are boring. Come and be part of telegram has very large groups you know new friendships and have fun easily and easily and with gift plans. Every time I have an urgent notification for my work department I write it to the telegram group of our office and they are all immediately notified so that telegram facilitates good communication without distosion in our company. "instant messaging application of utmost importance to everyone. " If I really like this application for all the diversity of functions it has globally I would not reach the time to talk about the benefits offered by this instant messaging application. One of the advantages in communication is the groups it has since it can have up to 200 participants in the group to chat this is the maximum and is an extraordinary advantages, apart from that this perfect application has channels of all kinds as from news, religion, culture, science, politics in short everything that can search even the favorite singers or groups of preferred music has a great advantage because it is a complete application to meet the need of the user, in case of sending large files is quite friendly in relation to the phone and that does not spend much mega in this case can send anything you want without any complication telegram is the maximum as an instant messaging tool. Actually there is that I do not like application is that I do not understand in a personal way from my point of view is the scope it has and the acceptance that has other messaging application because taking into account this is one of the best in its styles and apart that is free and contains everything you need as a tool in terms of application . here I can check all the groups and channels since telegram is a very complete application. This application has been very useful to me especially in my private conversations because it has an encryption from end to end a totally secure privacy without data leakage possible helped me in making some team or work groups where I can share information regarding the part of my work this application one day will be mandatory to have it in all the company as such. As an instant messaging application, it is simple, fast and above all the most important: safe. You could even say "powerful" because it allows you to create groups of chats with a greater number of participants than others of the same type. It maintains a clean interface which does not complicate its comprehension in an initial way. You can establish secret chats which allows you to maintain a level of privacy when mass messages are concerned. The storage is totally unlimited which is the best feature since it does not require the memory of the device but the Telegram cloud. Perhaps a more universal disadvantage is the low number of users worldwide compared to other users, but it is something that over the years has been changing and maintains a steady growth. Still do not offer video calls, this is a point against, since this type of communication is increasingly demanded. Basically it is affected at times by the slowness or starting of certain operating characteristics, but that it is almost always due to the local cellular network with which it is used. When creating the account in Telegram the user can choose not to inform your phone number, something that takes care of privacy in an important way. It has a web tool that does not need the phone is connected to the Internet to operate without the need to spend or battery or consume mobile data. All you need to do is enter your username and password, you do not need to scan any QR code or use your cell phone. It is possible to perform different tasks through the Telegram application, such as sending emails, sharing Tweets, activating devices remotely, etc. You can even use a Telegram account with a different number than the one we are using at the moment. This option opens many doors and offers facilities to the user. Another particular has been the APIs, they are like "connections" that allow to integrate different platforms. In this way, any user can create automatic systems or bots with different content. There are many options, but most important are the possibilities offered in the future from the integration with other platforms, and to mass advertising or sales are excellent, since it generates a wide range of interconnection in mail, voice, telephony applications, among other. Telegram provides instant messaging service which makes it easy for clients to ask questions about the company and get immediate feedback. 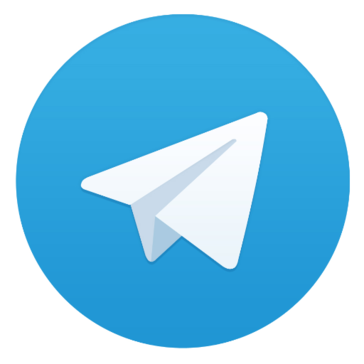 Telegram is free to download and cheap to use as it has no subscription fees. Telegram keeps messages safe from hacker attacks. Telegram has been my all time messaging platform but I dislike that it has no video or voice chat feature. It also has no multiple file selection option thus in case I want to send many files,I have to send them one after the other as I cannot send them at once. Telegram is the best tool for instant messaging and I highly recommend it to you. Telegram has enabled me have great communication with my clients as messages I send them are received instantly and I receive their messages instantly as well. It has also enabled me store my files there as they are kept safe and easy to access. Los bots, la capacidad que tiene un bot en Telegram es asombrosa, sirven para todo, automatizar tareas, buscar cosas (imágenes, el tiempo, gifs...), además se ha formado una comunidad muy buena alrededor y hay montón de webs con funciones que Telegram no tiene, pero como ofrece la API pues se pueden desarrollar herramientas para Telegram sin necesidad de la empresa matriz, incluso puedes hacer tu propia versión de Telegram hecha por ti mismo. La versión web, si quieres entrar rápidamente en un ordenador sin Telegram instalado puedes usar la versión web, el problema de esta versión es que sus funcionalidades están muy limitadas, algunas puede que sean por seguridad, pero está tan capado en cuanto a funciones que pierde todo el sentido usarlo, de hecho tan solo hay que irse a la versión móvil para ver que le pueden poner. Bien podrían usar una especie de web app como tiene Asana, Horbito u otras empresas. Sin lugar a dudas lo recomiendo encarecidamente, es el mejor programa en su sector y no parece que eso vaya a cambiar, van implementando funciones conforme van surgiendo y algunas otras curiosas. En un principio abandoné otra aplicación del estilo por sus constantes caídas (una o dos por semana) pero Telegram prácticamente no se ha caído nunca, además fui descubriendo funciones que no tiene ninguna otra aplicación y que facilita mucho el trabajo. "Telegram is communication, security and innovation"
In particular I have not had any serious problems with telegram, only once I have problems of slowness after an update but they were solved, maybe the time to eliminate an account for not using it was more extensive, but I suppose that they do to keep their database of subscribers refined. As indicated above, telegram has many versatility since it can be used from a mobile or navigator, innovation, since it has many very functional features and applies them before other solutions of the competition, which makes them more developed, and It also has many security features that can help the Swaurians maintain the confidentiality of their information. Within the company despite having Skype for business, which we use more for videoconferencing and communication with the main provider, Telegram, we use it as a more informal means of communication, in the case of my IT department, I use it for that users external to the company provide me with screenshots of errors that present their assignments or assigned equipment, other departments use it in a similar way, to send photos of parts, tools and errors that are presented to field engineers or that send some customers to add information to any report. "telegram some of the best application in its style. " What really fascinates me of application or social communicator to say something is its design that highly pleasant and easy to use for everyone and the best is free, with it we can do everything from creating groups look for music to upload large file without any complications from my point of view I and used this application for work since with it I create working group to send files or memorandum to facilitate better the performance of my colleague, apart from that also has a possibility for users to chat secretly on any subject without having to worry about privacy as telegram has an active security for this case and is totally global in all its design in another word it invests in security for us to be safe within the application, I think telegram is one from my point of view one of the best options in their category, another function for me represents a great advantage for us is the multiplatform it has since from anywhere we can end any kind of conversation we have in the group. Well I love this application because it has everything is easy to use but what I do not like is that end to end encryption is only for phone, this function should be used for all types of devices as in the case of computers, laptops, would be excellent and would be grateful with this application that I know beforehand that is one of the best in its category. thanks to telegram I was able to have more contact with my friends and relatives. Thanks to telegram being one of the best applications and I was able to chat with my family friends in a very safe way because it has one of the security standards so that there is no data leakage of any kind and this favors us as users of great application because it represents one of the best in its style, thanks telegram for existing. "Reliability and control of your conversations"
The synchronization of all the files and conversations you have and also the possibility that only the files will be downloaded when you have a Wi-Fi connection, in order to save the data of your 4g connection. The conversations you make through telegram have an end-to-end encryption, this means that this conversation and its content will only be able to see you and the person you are talking to. This is a very important section, since you know that conversations about business, products or aspects of your company will be protected through its extreme encryption system. You can send documents and files of a fairly large size, which allows projects or graphs that have a considerable size can be sent, stored and reviewed through Telegram, is a good way to facilitate the reception and review of files. Video conversations have a high latency and in many cases communication through this medium is not stable. I would like other Telegram updates to try to make video communication more stable and have no problems. If you need security in your conversations and a medium through which you can send and receive large files of your projects or business documents, Telegram is a great option, since it provides you with end-to-end encryption in your conversations and space in the cloud. that your files are protected. We know that the information we send and the conversations we have through Telegram will be completely confidential, therefore, everything we have to communicate about business matters, either through groups or in private conversations, we do it to through Telegram. We also review and upload projects and documents in Telegram, since it is a way to have files protected in the cloud, to have a backup copy and at the same time that any employee has those documents also available on their mobile device. I love this application because from my computer I can make changes of customization whenever I want and to my liking, this is a breakthrough for users like me, the most interesting thing about this application is that I can have up to two telegram accounts on different phones to which I can divide thanks to telegram the personal with the professional, something that favors this application is the advantages it has to search for any kind of music select your favorite singer that telegram has, for me from my point of view sometimes I think that this application apart from the best is a fusion between you tube, because this application has everything is completely complete I do not see any negative detail and if there was no notice for anything and can be remedied immediately with the administrators of the application really these people thought of an application that really revolutionizes the standards of communication at the highest level with security protocol totally safe for users. Personally I have no negative aspect of this application for me is excellent because with it I can do anything, I can not say anything negative about this application. Telegram has been of great help to me in everything apart that it represents an excellent tool of internal communication, since by this means I can perform many functions that benefits me personally as a professional, and could perform many business through this tools even my client can send me images of what they really need not this other to say that is a fabulous tool is why my favorite at all levels. "A messenger with great potential, and easy to use"
Telegram is one of the best mobile messengers on the market, a great interface, lightweight, and functional. Their groups with very high user limits, makes dynamic contact with large groups of customers, for example. is a great tool for disseminating Products, I put all my clients in a group, with the blocking tool sending only an administrator can send information, so it makes it much easier because the group gets cleaner, without spam. The application still offers video calls that have a good quality of transmission, undoubtedly one of the best in the market. There is a lack of dissemination by the developers, the application is undoubtedly one of the best, is always ahead of competitors with news, But is little publicized. My customer integration, I can send messages and batch news to all the customers I've placed in a group. "telegram is reliable for faster and secure file sharing"
- it is well designed to be used in many devices and syncs conversations perfectly. - it is very fast, sends and receives messages as fast. - conversations and chats on telegram are secure. - telegram file sharing tool is great it sends large files and is received in original format and state. - it is easy to customize settings on telegram application. - you re able to access files sent and received on the telegram from the cloud. the least helpful thing about telegram is that one is not able to send more file at once, the disadvantages are - it is sometimes hard to upload pictures and files to telegram for file sharing. - it has no tool that allows a user to send a voice message. - in the web version its not easy to find settings to update user name. telegram is cheaper and better communication solution for any company size, sends and receives messages instantly, allows a user to create groups which could be helpful for teamwork and send invitation links that work perfectly. sending confidential messages and files instantly without fear of security, the telegram is very cost effective and very secure, this is an advantage to anyone who prefers to use it, it also sends large files. Telegram is very easy to use communicator with a very clear interface. The telegram allows for safe communication via end to end chat called "Secret chat." The telegram enables the user to make safe calls, the quality of calls is excellent and does not differ from other communicators available on the market without any doubt, I think it is one of the best solutions in its category. Another great advantage of Telegram, which is worth mentioning, is the mulitiplatform, thanks to which we can use the telegram on a selected device in this computer so that we can finish the chat in a selected place. It is also worth mentioning that the telegram has many personalization options, including the ability to create your stickers. One of the drawbacks of telegrams is that end-to-end encryption is only available to mobile devices. If you are looking for an instant messenger that will allow you to chat and chat safely, you should consider using Telegram for this purpose. Thanks to the use of Telegram I can safely chat and talk to team members and family without fear of data leakage. "The new era of messaging." The application provides a high-privacy level so that users can text without any concern about surveillance. Telegram ensures military-grade encryption methods and two-factor authentication, that make users protected against hackers and other web criminals. Moreover, users are provided with local passcode feature, which buffers against "curious people." Sending sensitive messages and files is effortless and secure, especially with "Secret Chat" with self-destruct timer. The interface is customizable and can be adapted to day and night use. The design is modern and minimalistic, so everything is well organized. Creating and managing groups is intuitive, and users are provided with features such as pinning messages or creating polls. Everything works perfectly, but all media are saved on my devices automatically, and I cannot change it. Also, voice and video conversations tend to be high-latency. Telegram supports many types of devices and guarantees high-privacy standards, so it's perfect for people, who value secure and private messaging. The application enables me to message securely without any concern about my privacy. Moreover, Telegram is a perfect safety vault for sensitive files, as it provides high encryption standards so that I store there my documents, files, link and photos. "The best application to be connected with all your friends at all times." what I like the most is that I can be connected at any time and anywhere with only having an internet connection. In addition to that it has a very important tool and it is to be able to download any music that I want and show me a list of a selection of songs, which I can download with just one click. The best thing of all is that I can share images and files .. It is also currently a very useful and effective work tool. Well I consider that the only thing that displeases me about this application is missing is being able to place status and should have an option to download the songs to the phone or to the computer. But usually I feel very comfortable with her and she is very useful to me. Recomendar mucho esta aplicación a esos usuarios que deseen estar conectados y tener una aplicación increible en su celular. At work I am very effective because I need to be connected at all times and my clients can send me images and photos of what they need. Also with her I can work with the developers or the well-known bots to do mini tasks which are very useful to generate an extra income. Of equal way their tools like sending voice notes or making calls facilitate much in the person I love This application. "telegram totally concerned about our privacy and security, large in application for mobile and deskt"
I like Telegram because it really represents a great messenger of the security and privacy of the user I think personally that telegram cares totally about this to provide greater peace of mind to us as a real user, apart from being a totally funny application because we can find within it a variety of tool where we as permanent users use it and we can easily create group and channels of all kinds and all tastes depending on the group, the ease of this application is that we can create secret chat with other users and so we can talk about business or something else without anyone can see this type of information, the time I have using this application i realize that we can use many functions as advantages for our convenience in relation to the customization of telegram. That I don't like this application in a sincere way there are several aspects that I believe a future will be remedied in a difinitive way, I understand that telegram for some reason we can not make video call still this I noticed long ago but I trust in the creators of telegram that already will have a plan B, with reference to the call the quality is too low, in the personal for my telegram is almost perfect I can assure that it will be the only chat of the world at internet level solving this failures I believe that it will not have competition in the world of the communication and in chatting. I love this application and for me it represents an application that serves me for the important business that I have. By using telegram and noticed that I can conduct very important business conversations for business in a very safe way I believe that telegram even ensures to be a tool of virtual business and prosperous. "privacy for telegram is the most important thing, and for us it is the most important thing. " That I like telegram and that worries so much the administrators of this fascinating application is nothing less than the privacy of us as users is why I like this communication platform privacy for you to chat with your friends, and being able to delete it when you want from end to end is something wonderful and fascinating and impressive I would say as a telegram user,in my work in a particular way we take much into account this because we do not have problems with the privacy of everyone in the groups that make up in telegram for greater advantages and have greater communication, telegram can even customize as you want there are themes clear and dark others and is very fun because you can adapt to your needs in a simple and easy way, telegram for that part is very flexible and you can manage it on desktop computers or laptop and phone without any inconvenience just install and use it. Good there are some little details truth that I have personally realized, when I'm using the telegram application, is when I send two or three large files takes a long time, I think it should reduce the time to load documents with enough megabytes, I think I have nothing more to say this application has too much potential to have fewer disadvantages that are totally scarce. with telegram you can create a work group or sector it to lead a better life in relation to this, it helps you to manage and to carry a better synchronization in the work. Without a doubt telegram helped me because with this application I was able to create a different working group or to sectorize in groups in the area where I am and thus communicate more easily with them. It has been really gratifying and fruitful this application on which we depend a lot since I can receive and send files and communications to the technical staff who are in the work area, this is really a team effort thanks to telegram I thank you very much for existing this wonderful application in the world of the Internet. "It is communication and information"
Because I like Telegram, because it is the best messaging application, in terms of groups the number of participants is important, it has channels of all kinds where you can get the information according to needs, it allows you to personalize the chat room and the application itself. as for the docuemtos that you can send is quite generous in the megabytes of sending and receiving. It has infinity of stikers simply the best. The only thing I do not like about this application is that it does not have the scope and acceptance that if they have others and I do not understand because if it is one of the best, it may require more support to be known sincerely, I do not know. If you want more than sending sms then telegram is for you, since it not only offers communication but also the sending of files and even to download movies if you wish. "One of the best mobile/computer messaging application out there." To be frank i have been using telegram for over 2 years, personally and at my place of work. This helps me to send and recieve large files, videos and applications with ease. Unlike other applications out there which make us browse through out system, attach the file and wait for it to be send, and still not sure if it works. But telegram helps you to send directly to the user. There is nothing much to complain about telegram. But to be speaking, i found an issue with the security features. Unlikw watssap, gelegram is not end to end encrypted. You may not be able to send or recieve messages or stuff without a third persons notice. Highly confedential files and personal data that must not be circulated must not be sent via telegran. I have been using telegram to send brief descriptions about the software , like presentations and videos which size upto 1 -2 gb to my clients. This has been helpful because in this era where you cannot find enough tine for anything, telegram helps. "Simple, Fast and secure communication tool"
Telegram remain the most outstanding Messenger of all time. It offer numerous chatting feature which most its competitor don't offer. This include. -Simple and user friendly interface. -ability to share and support file of any size and format. -in built video and audio player. -easy to log in to your application from multiple device. -file, audio and video sharing. Though telegram offer amazing feature ,it does not have video conferencing feature like it competitor. The developer of this app should have a look on that to make the software complete. Telegram can be of great significant to any business that is looking for way to enhance communication to its team. File ,audio and video sharing have been made easy and cheaper by telegram since we can share file of any size and format. It have greatly enhance smooth flow of information by offering a platform for group chat. Help the group keep truck of any updates regarding the daily activities of the company . We also use it to value our customer satisfaction by reviewing their feedback. "Excelente herramienta de comunicación interna"
Tras actualizar los temas y poder cambiarlos desde la versión de ordenador han dado un paso gigante hacia la personalización del cliente en cuanto a estética, así como la posibilidad de tener más de 1 cuenta de Telegram es genial para quien tenemos dos teléfonos, uno personal y otro profesional, separando así de una vez la vida laboral de la personal. No hay apenas nada que Telegram haga mal, pero sí podría destacar que antes la carga y descargar de archivos era mucho más rápida y algunos bugs como que a veces los audios tardan 4-5 segundos en reproducirse (se soluciona reiniciando Telegram), a pesar de ello no son fallos grandes o graves que puedan ser una molestia real para el usuario. No existe una alternativa mejor a Telegram, que además, es gratuita. La competencia se ha quedado muy atrás en cuanto a calidad del servicio, aunque para ello deberíamos comprobar si Telegram aguanta la cantidad de usuarios que tiene su principal competidor. Una función que el resto no han sabido emular igual de bien han sido los canales de difusión, en Telegram no solo son sencillos, sino que además son agradables y rápidos de usar. La gran solución de comunicación interna, puedes pasar archivos, tener conversaciones por voz, puedes buscar en el historial con mucha facilidad, usar etiquetas mediante # y demás funciones, también puedes usar bots para otras funciones o más complejas o automatizarlas. "Easy to manage groups and send files without limit." Very convinient since the users is able to access it from anywhere in the world. Its ability to mute the chats is amazing. Sharing of files through telegram is incredible since am able to send files without limit. It a free source thus no cost incurred. Yes i would recommend telegram since its a free platform thus no cost incurred.Its very secure with encryption of messages. Helps with sharing files with friends and colleagues with high video and audio call making the communication succesful from anywhere in the world. Reliable for sending all kinds of files to friends and colleagues from anwyhere in the world. Its ability to manage the groups where the user is able to mute the group chats. High quality video call making the communication a success. Am able to retrieve old conversations with telegram. "Exceptional messaging solution with high-privacy standards. " Telegram is an exceptional messaging solution, that supports many operating systems and platforms. It enables users to access the application from multiple devices simultaneously, and messages are delivered quickly. Encryption is military-grade to keep users data safe from hackers. You could store your files on the cloud-based servers such as photos, sensitive files or documents. The interface is well-designed and easy to customise. Chatting experience is excellent, as the font is eye-pleasing and collection of stickers and gif is enormous. Also, I like the form of presenting media, as photos, videos, files and links are divided into separated sections. The most significant advantages of the application are security features, such as private chats with P2P encryption, self-destructing messages and two-step authentication. Moreover, my favourite facility is local passcode, which enables you to lock Telegram Desktop quickly in case of an emergency. Unfortunately, voice conversations aren't low-latency, but when it comes to secure calls, I haven't found a better alternative. Moreover, just a few people use Telegram, so when I want to chat with my business partners and friends there, I have to ask for installing it. I recommend the application if you are looking for a secure messaging solution, that supports multiple platforms. Moreover, it's equipped with excellent security features and ensures a high-privacy level. The application ensures me a high-privacy level so that I use the software to chat with my business platforms and friends. Also, Telegram enables me to store sensitive files and photos on the well-encrypted cloud server. "Telegram is a simplified and secure messaging app"
Telegram is the most simplified messenger, it doesn't need much work to get and start using it, it is fast and reliable in a good way. 2. Allows user to create public and private groups and send invites. 3. Searching through contacts and chats is easy. 4. It's easy to use and understand. 5. It has great chat features. 6. Allows the user to delete messages sent even from recipient's telegram account. 7. Both mobile and web version syncs perfectly . It is not yet build with tools to allows voice messaging or conferencing of any sort. "The best chat app ever! " The best feature of the Telegram, is the incredible simple interface and processing speed of the app. Can send multiple messages, audios, emojis (customization is available). It's a very light app with a good audio and video conference. For me it's the best one in the segment of chat app. Perhaps the only two bad things about Telegram is : the support (mostly absent) and the fact that is an unpopular app, at least in Brazil. Maybe the developers should focus on advertising and making it famous, because it is a great app to stay unknown. Like i said, it is the best chat app ever, surpassing whatsapp (very famous in Brazil). I recommend the use of Telegram for personal and even professional matters. Easy, simple, light and fun to use. The best way to start a common conversation is with a chat app, and if the other person uses Telegram, it gets easier. It's fast and it has been great for my personal and even professional relations. "telegram as an application is the best in this style "
in the reality of telegran in a very personal way I totally like all the chat are very fast I do not see disadvantages to this platform that is in a slingshot of continuous revolution rising like foam, the app has a design of its own and very friendly and friendly is incredible because I can send file of great weight and does not freeze at any time is very chevere really this application, telegram have too much quality compared to other messaging that are paid the best of this app that is free and with all it has deserves the position nro 1, this application does not have advertising included as this would be no annoying problem for the user, the cirbeseguridad is quite high can apply from any phone or desktop computer or laptop. I do not really have some negative expression of this application, but as there is always one, telegram should proclaim more advertising on radio or television by any means of advertising so that everyone knows this application and can download it either on your phone or pc, as this would be more common among people and easier to locate our acquaintances or acquaintances, otherwise everything is with this platform. this application for me has been perfect apart from being very versatile and free in spite of the quality it has. I do not doubt that telegram for me has been of great support helped me quite a lot by quasalidad lost my phone, but immediately I was able to contact directly with the contact through the computer is great, I did not need the telf in this case because you can hold conversations and send the files directly from my laptop was fabulous a unique experience, so I say telegram, thank you. "Telegram is ideal to make new friends."